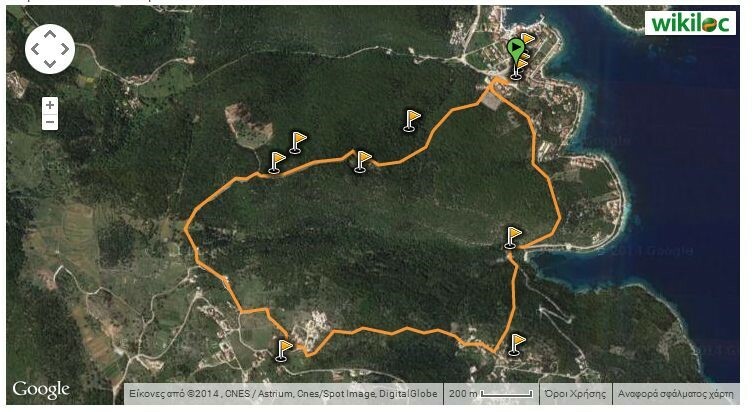 This year, the Risians’ Cultural and Enviromental Club “Asteris” has completed the process of adding signs and clearing the three paths at Fiscardo in North Kefalonia. The paths cover a wide area in the rich coastal cypress forest, full of ancient olive trees, holm oaks and arbutus of the Erisos peninsula of Fiscardo. Moreover, they provide enough shade so that travelers can walk them easily even in the summer time and pass by secluded bays for refreshing stops. The Cypress path starts from the traditional Tselentata settlement, a village which had a population of over 300 in the early 1900s but is currently inhabited by less than 20 people. All houses have water only from what they collect in their cisterns. You will walk among stone-built residences with bougainvillea, ruins and at the top, you will arrive at St. Gerasimos beautiful church. The church was built in the 18th century and the floor tiles had been imported from France. The route concludes at the abandoned settlement of the Spiliovouno area with the old olive oil press, the mill (which grinded barley and wheat until 1950) and to a series of “rock-roofed caves” in which traces of ancient habitation and the worship of Pan and the Nymphs have come to light (“spilia” in Greek means “cave”, hence the name of the area). After reaching Fiscardo port, you can extend your walk to the Lighthouse walk and then continue to Foki, a beautiful beach with clean blue and green sea waters which is actually surrounded by cypress-covered slopes. Many travelers have said that swimming in Foki is like swimming in a fairytale lake. Another interesting point is the large cave at the end of the bay which is over 100 metres deep. You can rest for a while at the beach of pebbles inside the cave or try a jump into the sea from the surrounded rocks. The path ends at Tselentata village. 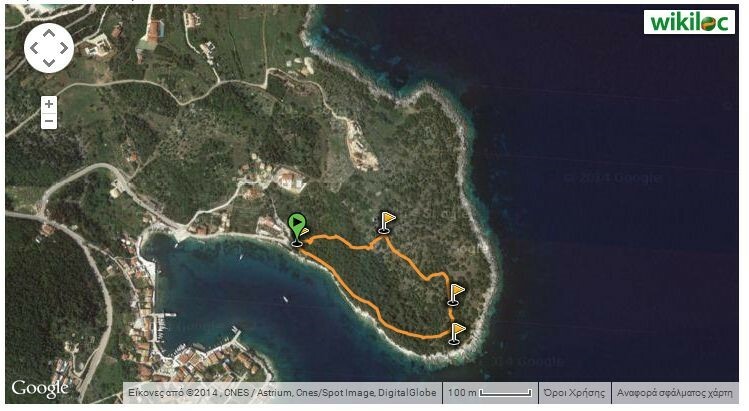 Level: Easy-medium, Distance: 4,7km, Duration: including stops & breaks 2hrs 30min, Altitude: start: 10m. max: 196m. end: 14m. 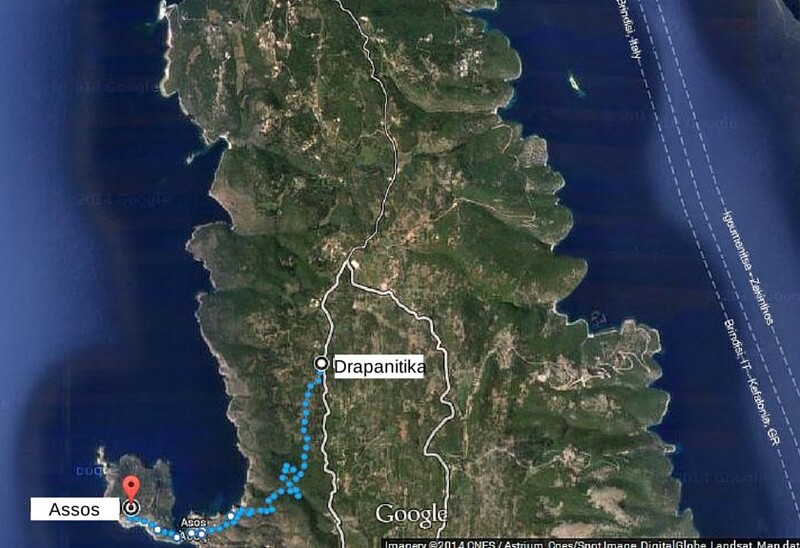 Finally, the path to Battery (“Bataria” in Greek) area (10Km) can lead the traveler from the heart of the forest to lovely bays for refreshing dives. It starts from “Larni” gorge at Fiscardo and passes from a sight known as the “throne of the Queen of Fiskardo”, a 2.5m square hollow carved out of the rock with three steps leading up to it. Local legend ascribes to the stone the pomp and power of a mythical queen. Continuing along the track, we get to several quaint settlements and we come to the homonymous area through a path which is said to be Venetian and is inside a forest of holm oak, cypress and arbutus. The Battery area was a German base during World War II as the Germans aimed at controlling Ionian Sea. Only the concrete artillery bases and the tunnels are saved to date. The path ends at Kimilia and Emplysi beaches through a forest of arbutus. 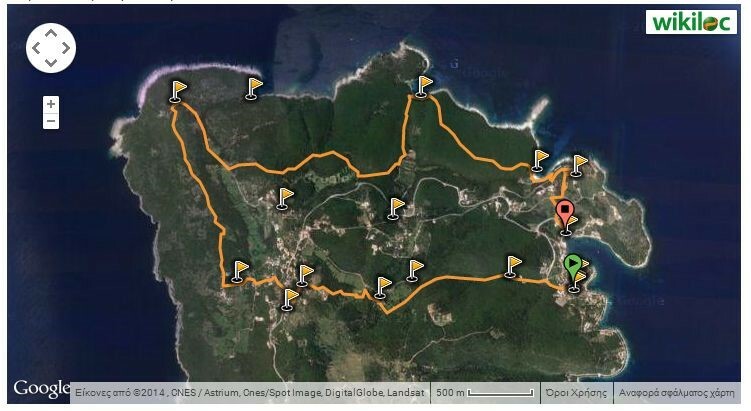 Level: medium, Distance: 10km, Duration: including stops & breaks 3hrs 35min, Altitude: start: 8m. max: 153m. 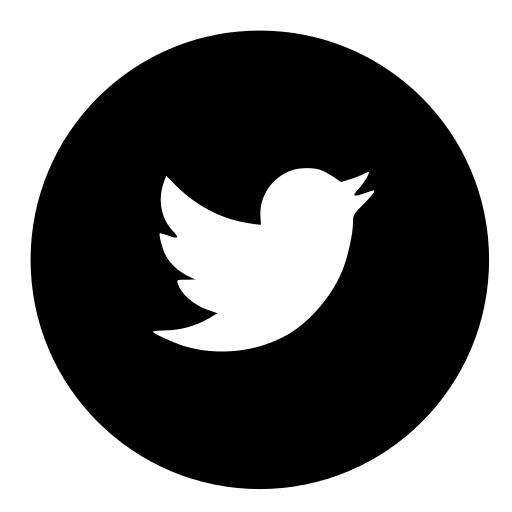 end: 1m. Find out more about Kefalonia and Agnantia’s summer activities (boat tours, gastronomy, hiking and massage). Agnantia και Μάϊρα , η ιστορία ως τώρα! Αγαπημένοι μου φίλοι, σας καλωσορίζω στο Agnantia.